Casto Ramsey was a native of Galion, Ohio, and a 1974 inductee into the Emory & Henry Sports Hall of Fame. 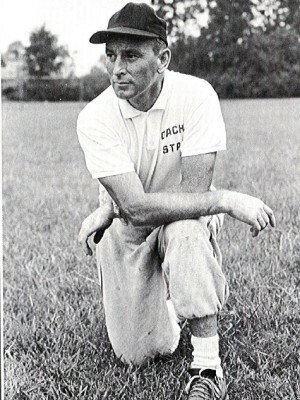 Ramsey spent 13 seasons as Emory & Henry’s Head Football Coach (1953-56, 60-68). 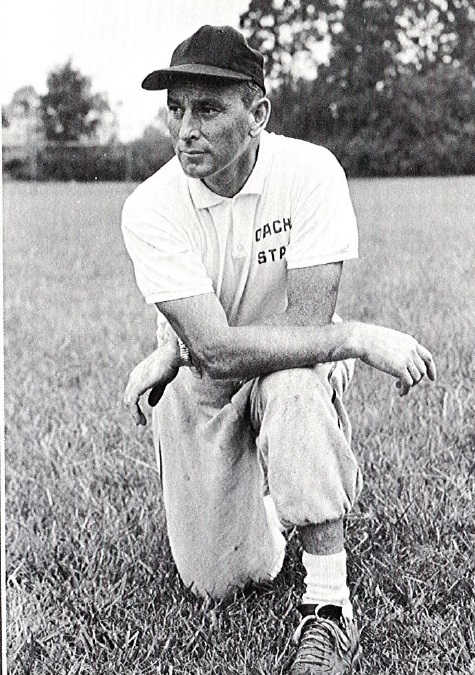 He led the Wasps to Smoky Mountain Athletic Conference titles in 1953, 1956 and 1962. In the first year under Ramsey’s leadership, Emory & Henry made its fourth bowl appearance in five seasons. The Wasps faced off against East Tennessee State College in the 1953 Thanksgiving Day Burley Bowl in Johnson City, Tennessee. It was the last time until the 1980’s that the Wasps would play postseason football. 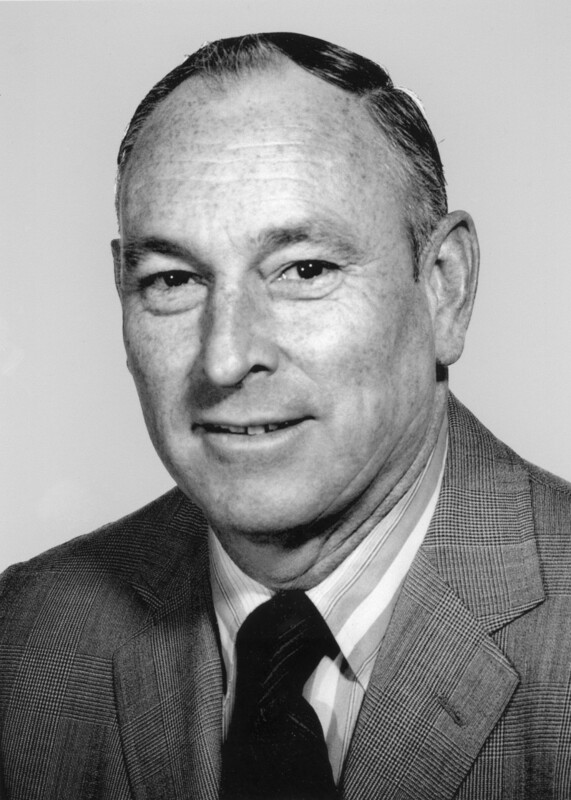 In 1956, after four years at the helm of the E&H football team, Ramsey left to become the running backs coach at the University of Houston. Three years later, Southwest Virginia called him back and he spend the final nine years of his coaching career (1960-68) with the Wasps. The 1968 Emory & Henry team finished the season with a 9-1 record and a No. 10 national ranking among NAIA schools behind the efforts of quarterback Jesse “Sonny” Wade. The Wasps also set a national record for total offense at 542.3 yards per game. Ramsey notched an 81-40-7 career record, which at the time of his retirement, accounted for the most wins in program history. Ramsey coached eleven different players who earned All-America honors, four of whom were named to the All-America First Team. Born on August 6, 1920, C. Casto Ramsey passed away in Abingdon on December 20, 2008 at the age of 88.